19 Round 2 of Picture of the Year 2015 is open! 28 A beer & a barnstar for you! 30 Thanks for your help! 64 Could you look at ....? The image File:George Washington Carver c1910 - Restoration.jpg, that you nominated on Commons:Featured picture candidates/File:George Washington Carver c1910 - Restoration.jpg has been promoted. Thank you for your contribution. If you would like to nominate another image, please do so. The image File:Samuel Coleridge-Taylor.jpg, that you nominated on Commons:Featured picture candidates/File:Samuel Coleridge-Taylor.jpg has been promoted. Thank you for your contribution. If you would like to nominate another image, please do so. The image File:William H. Crook photographed by Frances Benjamin Johnston.jpg, that you nominated on Commons:Featured picture candidates/File:William H. Crook photographed by Frances Benjamin Johnston.jpg has been promoted. Thank you for your contribution. If you would like to nominate another image, please do so. The image File:Booker T. Washington by Francis Benjamin Johnston, c. 1895.jpg, that you nominated on Commons:Featured picture candidates/File:Booker T. Washington by Francis Benjamin Johnston, c. 1895.jpg has been promoted. Thank you for your contribution. If you would like to nominate another image, please do so. The image File:Paul von Hindenburg (1914) von Nicola Perscheid.jpg, that you nominated on Commons:Featured picture candidates/File:Paul von Hindenburg (1914) von Nicola Perscheid.jpg has been promoted. Thank you for your contribution. If you would like to nominate another image, please do so. The image File:Levin C. Handy - General Robert E. Lee in May 1869.jpg, that you nominated on Commons:Featured picture candidates/File:Levin C. Handy - General Robert E. Lee in May 1869.jpg has been promoted. Thank you for your contribution. If you would like to nominate another image, please do so. The image File:Abbey Lincoln in 1966.jpg, that you nominated on Commons:Featured picture candidates/File:Abbey Lincoln in 1966.jpg has been promoted. Thank you for your contribution. If you would like to nominate another image, please do so. The image File:Robert Earl Jones in Langston Hughes' Don't You Want to be Free? (23 June 1938; photograph by Carl Van Vechten).jpg, that you nominated on Commons:Featured picture candidates/File:Robert Earl Jones in Langston Hughes' Don't You Want to be Free? (23 June 1938; photograph by Carl Van Vechten).jpg has been promoted. Thank you for your contribution. If you would like to nominate another image, please do so. The image File:Thurston the Great Magician - Strobridge Litho. Co..jpg, that you nominated on Commons:Featured picture candidates/File:Thurston the Great Magician - Strobridge Litho. Co..jpg has been promoted. Thank you for your contribution. If you would like to nominate another image, please do so. The image File:William McIlvaine - The Chickahominy - Sumners Upper Bridge.jpg, that you nominated on Commons:Featured picture candidates/File:William McIlvaine - The Chickahominy - Sumners Upper Bridge.jpg has been promoted. Thank you for your contribution. If you would like to nominate another image, please do so. The image File:Teresa Carreño at the piano.jpg, that you nominated on Commons:Featured picture candidates/File:Teresa Carreño at the piano.jpg has been promoted. Thank you for your contribution. If you would like to nominate another image, please do so. The image File:Pierre Gaveaux by Edmé Quenedey (1821).jpg, that you nominated on Commons:Featured picture candidates/File:Pierre Gaveaux by Edmé Quenedey (1821).jpg has been promoted. Thank you for your contribution. If you would like to nominate another image, please do so. The image Commons:Featured picture candidates/Set/Les Troyens, that you nominated on Commons:Featured picture candidates/Set/Les Troyens has been promoted. Thank you for your contribution. If you would like to nominate another image, please do so. The image File:Frances Benjamin Johnston, Self-Portrait (as "New Woman"), 1896.jpg, that you nominated on Commons:Featured picture candidates/File:Frances Benjamin Johnston, Self-Portrait (as "New Woman"), 1896.jpg has been promoted. Thank you for your contribution. If you would like to nominate another image, please do so. The image File:'One of the wards in the hospital at Scutari'. Wellcome M0007724 - restoration, cropped.jpg, that you nominated on Commons:Featured picture candidates/File:'One of the wards in the hospital at Scutari'. Wellcome M0007724 - restoration, cropped.jpg has been promoted. Thank you for your contribution. If you would like to nominate another image, please do so. The image File:Alice Roosevelt by Frances Benjamin Johnston.jpg, that you nominated on Commons:Featured picture candidates/File:Alice Roosevelt by Frances Benjamin Johnston.jpg has been promoted. Thank you for your contribution. If you would like to nominate another image, please do so. The image File:Thaddeus M. Fowler - Pittsburgh, Pennsylvania 1902.jpg, that you nominated on Commons:Featured picture candidates/File:Thaddeus M. Fowler - Pittsburgh, Pennsylvania 1902.jpg has been promoted. Thank you for your contribution. If you would like to nominate another image, please do so. The image File:Daniel Craig McCallum by The Brady National Photographic Art Gallery.jpg, that you nominated on Commons:Featured picture candidates/File:Daniel Craig McCallum by The Brady National Photographic Art Gallery.jpg has been promoted. Thank you for your contribution. If you would like to nominate another image, please do so. The image File:Mary Martin in The Sound of Music by Toni Frissell.jpg, that you nominated on Commons:Featured picture candidates/File:Mary Martin in The Sound of Music by Toni Frissell.jpg has been promoted. Thank you for your contribution. If you would like to nominate another image, please do so. The image File:"Broke, baby sick, and car trouble!" - Dorothea Lange's photo of a Missouri family of five in the vicinity of Tracy, California.jpg, that you nominated on Commons:Featured picture candidates/File:"Broke, baby sick, and car trouble!" - Dorothea Lange's photo of a Missouri family of five in the vicinity of Tracy, California.jpg has been promoted. Thank you for your contribution. If you would like to nominate another image, please do so. The image File:Maresuke Nogi, 近世名士写真 其1 - Photo only.jpg, that you nominated on Commons:Featured picture candidates/File:Maresuke Nogi, 近世名士写真 其1 - Photo only.jpg has been promoted. Thank you for your contribution. If you would like to nominate another image, please do so. A beer & a barnstar for you! The image File:Emmeline Pankhurst, seated (1913).jpg, that you nominated on Commons:Featured picture candidates/File:Emmeline Pankhurst, seated (1913).jpg has been promoted. Thank you for your contribution. If you would like to nominate another image, please do so. The image File:Mattie Edwards Hewitt - half-length photo by Frances Benjamin Johnston.jpg, that you nominated on Commons:Featured picture candidates/File:Mattie Edwards Hewitt - half-length photo by Frances Benjamin Johnston.jpg has been promoted. Thank you for your contribution. If you would like to nominate another image, please do so. The image File:Florence Earle Coates Platinum Print 3 - Restoration.jpg, that you nominated on Commons:Featured picture candidates/File:Florence Earle Coates Platinum Print 3 - Restoration.jpg has been promoted. Thank you for your contribution. If you would like to nominate another image, please do so. The image File:Camille Saint-Saëns in 1900 by Pierre Petit.jpg, that you nominated on Commons:Featured picture candidates/File:Camille Saint-Saëns in 1900 by Pierre Petit.jpg has been promoted. Thank you for your contribution. If you would like to nominate another image, please do so. The image File:Alice Paul (1915) by Harris & Ewing.jpg, that you nominated on Commons:Featured picture candidates/File:Alice Paul (1915) by Harris & Ewing.jpg has been promoted. Thank you for your contribution. If you would like to nominate another image, please do so. The image File:Barbara McClintock (1902-1992) shown in her laboratory in 1947.jpg, that you nominated on Commons:Featured picture candidates/File:Barbara McClintock (1902-1992) shown in her laboratory in 1947.jpg has been promoted. Thank you for your contribution. If you would like to nominate another image, please do so. The image File:Mary Lou Williams (Gottlieb 09231).jpg, that you nominated on Commons:Featured picture candidates/File:Mary Lou Williams (Gottlieb 09231).jpg has been promoted. Thank you for your contribution. If you would like to nominate another image, please do so. The image File:Ethel Reed (ca. 1895) by Frances Benjamin Johnston.jpg, that you nominated on Commons:Featured picture candidates/File:Ethel Reed (ca. 1895) by Frances Benjamin Johnston.jpg has been promoted. Thank you for your contribution. If you would like to nominate another image, please do so. The image File:Alice C. Evans, National Photo Company portrait, circa 1915.jpg, that you nominated on Commons:Featured picture candidates/File:Alice C. Evans, National Photo Company portrait, circa 1915.jpg has been promoted. Thank you for your contribution. If you would like to nominate another image, please do so. The image File:Charles Follen McKim by Frances Benjamin Johnston.jpg, that you nominated on Commons:Featured picture candidates/File:Charles Follen McKim by Frances Benjamin Johnston.jpg has been promoted. Thank you for your contribution. If you would like to nominate another image, please do so. The image File:George Charles Beresford - Virginia Woolf in 1902 - Restoration.jpg, that you nominated on Commons:Featured picture candidates/File:George Charles Beresford - Virginia Woolf in 1902 - Restoration.jpg has been promoted. Thank you for your contribution. If you would like to nominate another image, please do so. The image File:Schenson Uppsala domkyrka 1889 - Restoration.jpg, that you nominated on Commons:Featured picture candidates/File:Schenson Uppsala domkyrka 1889 - Restoration.jpg has been promoted. Thank you for your contribution. If you would like to nominate another image, please do so. The image File:Bessie Smith (1936) by Carl Van Vechten.jpg, that you nominated on Commons:Featured picture candidates/File:Bessie Smith (1936) by Carl Van Vechten.jpg has been promoted. Thank you for your contribution. If you would like to nominate another image, please do so. The image File:Eugene F. Kranz at his console at the NASA Mission Control Center.jpg, that you nominated on Commons:Featured picture candidates/File:Eugene F. Kranz at his console at the NASA Mission Control Center.jpg has been promoted. Thank you for your contribution. If you would like to nominate another image, please do so. The image File:Katherine Johnson at NASA, in 1966.jpg, that you nominated on Commons:Featured picture candidates/File:Katherine Johnson at NASA, in 1966.jpg has been promoted. Thank you for your contribution. If you would like to nominate another image, please do so. The image File:Salote Tupou III of Tonga in 1908.jpg, that you nominated on Commons:Featured picture candidates/File:Salote Tupou III of Tonga in 1908.jpg has been promoted. Thank you for your contribution. If you would like to nominate another image, please do so. The image File:Ivor Novello.jpg, that you nominated on Commons:Featured picture candidates/File:Ivor Novello.jpg has been promoted. Thank you for your contribution. If you would like to nominate another image, please do so. The image File:Bertha Lutz 1925.jpg, that you nominated on Commons:Featured picture candidates/File:Bertha Lutz 1925.jpg has been promoted. Thank you for your contribution. If you would like to nominate another image, please do so. The image File:Elsie Leslie (1899) by Zaida Ben-Yusuf.jpg, that you nominated on Commons:Featured picture candidates/File:Elsie Leslie (1899) by Zaida Ben-Yusuf.jpg has been promoted. Thank you for your contribution. If you would like to nominate another image, please do so. The image File:Jane Addams - Bain News Service.jpg, that you nominated on Commons:Featured picture candidates/File:Jane Addams - Bain News Service.jpg has been promoted. Thank you for your contribution. If you would like to nominate another image, please do so. The image File:Verdi conducting Aida in Paris 1880 - Gallica - Restoration.jpg, that you nominated on Commons:Featured picture candidates/File:Verdi conducting Aida in Paris 1880 - Gallica - Restoration.jpg has been promoted. Thank you for your contribution. If you would like to nominate another image, please do so. The image File:Margaret D. Foster, in Lab, 4 October 1919.jpg, that you nominated on Commons:Featured picture candidates/File:Margaret D. Foster, in Lab, 4 October 1919.jpg has been promoted. Thank you for your contribution. If you would like to nominate another image, please do so. The image File:Priscilla Horton (Mrs. German Reed) as Ariel.jpg, that you nominated on Commons:Featured picture candidates/File:Priscilla Horton (Mrs. German Reed) as Ariel.jpg has been promoted. Thank you for your contribution. If you would like to nominate another image, please do so. The image File:James Russell Lowell - 1855.jpg, that you nominated on Commons:Featured picture candidates/File:James Russell Lowell - 1855.jpg has been promoted. Thank you for your contribution. If you would like to nominate another image, please do so. The image File:Set design by Philippe Chaperon for Act1 sc2 of Aida by Verdi 1871 Cairo - Gallica - Restored.jpg, that you nominated on Commons:Featured picture candidates/File:Set design by Philippe Chaperon for Act1 sc2 of Aida by Verdi 1871 Cairo - Gallica - Restored.jpg has been promoted. Thank you for your contribution. If you would like to nominate another image, please do so. The image File:Johann Strauss II by Fritz Luckhardt.jpg, that you nominated on Commons:Featured picture candidates/File:Johann Strauss II by Fritz Luckhardt.jpg has been promoted. Thank you for your contribution. If you would like to nominate another image, please do so. The image File:Sgt Major Christian Fleetwood - American Civil War Medal of Honor recipient - Restoration.jpg, that you nominated on Commons:Featured picture candidates/File:Sgt Major Christian Fleetwood - American Civil War Medal of Honor recipient - Restoration.jpg has been promoted. Thank you for your contribution. If you would like to nominate another image, please do so. Could you look at ....? The image File:Brigid M. Balfour (1914-1994) - Restoration.jpg, that you nominated on Commons:Featured picture candidates/File:Brigid M. Balfour (1914-1994) - Restoration.jpg has been promoted. Thank you for your contribution. If you would like to nominate another image, please do so. The image File:Michael Ancher portrætfoto 2 - Restoration.jpg, that you nominated on Commons:Featured picture candidates/File:Michael Ancher portrætfoto 2 - Restoration.jpg has been promoted. Thank you for your contribution. If you would like to nominate another image, please do so. The image File:Magistrate 1885 - Weir Collection - Restoration.jpg, that you nominated on Commons:Featured picture candidates/File:Magistrate 1885 - Weir Collection - Restoration.jpg has been promoted. Thank you for your contribution. If you would like to nominate another image, please do so. Thank you for the licence and, of course, for your splendid photos!! The image File:Lancashire 1610 Speed Hondius - Restoration.jpg, that you nominated on Commons:Featured picture candidates/File:Lancashire 1610 Speed Hondius - Restoration.jpg has been promoted. Thank you for your contribution. If you would like to nominate another image, please do so. Please excuse me spamming you. As a regular on Feature Picture Candidatess you will recognise User:The Photographer, who has 86 Featured Pictures. His contributions cover the architecture and culture of Brazil and Venezuela. He has basic photographic equipment: an old D300 camera and 35mm lens, and lives in a poor country where photographic equipment is expensive. The Photographer has recently taken several images using the technique where multiple frames are stitched together to create a high-resolution panorama. However, many times frustrated with the stitching errors that result from trying to take such photos without a proper panoramic head for his tripod. This special equipment permits the camera to be rotated around the entrance pupil of the lens, and eliminates such errors. Having a panoramic head would greatly increase the potential for The Photographer to create sharp high-resolution images for Commons. In addition, the purchase of a fisheye lens would enable 180 × 360° panoramas to be taken, which are a great way to explore a scene as though one is really there. I just wanted to say that I am still annoyed when I see your work being featured. I was wondering what the mechanism is for nominating this list and discussion as list of the week? The image File:Margaret Hamilton - restoration.jpg, that you nominated on Commons:Featured picture candidates/File:Margaret Hamilton - restoration.jpg has been promoted. Thank you for your contribution. If you would like to nominate another image, please do so. The image File:Giuseppe Barberis - Carlo Cornaglia - Giuseppe Verdi's Don Carlo at La Scala.jpg, that you nominated on Commons:Featured picture candidates/File:Giuseppe Barberis - Carlo Cornaglia - Giuseppe Verdi's Don Carlo at La Scala.jpg has been promoted. Thank you for your contribution. If you would like to nominate another image, please do so. The image File:Alexandre Lacauchie - Gilbert Duprez as Gaston in Verdi's Jérusalem.jpg, that you nominated on Commons:Featured picture candidates/File:Alexandre Lacauchie - Gilbert Duprez as Gaston in Verdi's Jérusalem.jpg has been promoted. Thank you for your contribution. If you would like to nominate another image, please do so. The image File:Ida Husted Harper photograph by Aime Dupont.jpg, that you nominated on Commons:Featured picture candidates/File:Ida Husted Harper photograph by Aime Dupont.jpg has been promoted. Thank you for your contribution. If you would like to nominate another image, please do so. The image File:Carrie Chapman Catt - National Woman's Party Records.jpg, that you nominated on Commons:Featured picture candidates/File:Carrie Chapman Catt - National Woman's Party Records.jpg has been promoted. Thank you for your contribution. If you would like to nominate another image, please do so. The image File:Millicent Fawcett.jpg, that you nominated on Commons:Featured picture candidates/File:Millicent Fawcett.jpg has been promoted. Thank you for your contribution. If you would like to nominate another image, please do so. The image File:Ida M. Tarbell.jpg, that you nominated on Commons:Featured picture candidates/File:Ida M. Tarbell.jpg has been promoted. Thank you for your contribution. If you would like to nominate another image, please do so. The image File:Jeannette Rankin, Bain News Service, facing front.jpg, that you nominated on Commons:Featured picture candidates/File:Jeannette Rankin, Bain News Service, facing front.jpg has been promoted. Thank you for your contribution. If you would like to nominate another image, please do so. The image File:Emma Smith DeVoe by James & Bushnell - No photographer stamp.jpg, that you nominated on Commons:Featured picture candidates/File:Emma Smith DeVoe by James & Bushnell - No photographer stamp.jpg has been promoted. Thank you for your contribution. If you would like to nominate another image, please do so. The image File:Abfertigen einer Meldung durch Brieftauben - CH-BAR - 3240471 - restoration.jpg, that you nominated on Commons:Featured picture candidates/File:Abfertigen einer Meldung durch Brieftauben - CH-BAR - 3240471 - restoration.jpg has been promoted. Thank you for your contribution. If you would like to nominate another image, please do so. The image File:Philippe Chaperon - Rigoletto.jpg, that you nominated on Commons:Featured picture candidates/File:Philippe Chaperon - Rigoletto.jpg has been promoted. Thank you for your contribution. If you would like to nominate another image, please do so. The image File:Lincoln assassination slide c1900 - Restoration.jpg, that you nominated on Commons:Featured picture candidates/File:Lincoln assassination slide c1900 - Restoration.jpg has been promoted. Thank you for your contribution. If you would like to nominate another image, please do so. The image File:Haydée, ou Le secret Act II - Philippe Chaperon.jpg, that you nominated on Commons:Featured picture candidates/File:Haydée, ou Le secret Act II - Philippe Chaperon.jpg has been promoted. Thank you for your contribution. If you would like to nominate another image, please do so. The image File:Edith Kermit Carow Roosevelt by Frances Benjamin Johnston.jpg, that you nominated on Commons:Featured picture candidates/File:Edith Kermit Carow Roosevelt by Frances Benjamin Johnston.jpg has been promoted. Thank you for your contribution. If you would like to nominate another image, please do so. The image File:Le comte Ory - Dubois & chez Martinet - Final scene.jpg, that you nominated on Commons:Featured picture candidates/File:Le comte Ory - Dubois & chez Martinet - Final scene.jpg has been promoted. Thank you for your contribution. If you would like to nominate another image, please do so. The image File:Alexandre Fragonard - Scène de L'orage (Barbier de Séville).jpg, that you nominated on Commons:Featured picture candidates/File:Alexandre Fragonard - Scène de L'orage (Barbier de Séville).jpg has been promoted. Thank you for your contribution. If you would like to nominate another image, please do so. The image File:Eugène Du Faget - Costume designs for Guillaume Tell - 1-3. Laure Cinti-Damoreau as Mathilde, Adolphe Nourrit as Arnold Melchtal, and Nicolas Levasseur as Walter Furst.jpg, that you nominated on Commons:Featured picture candidates/File:Eugène Du Faget - Costume designs for Guillaume Tell - 1-3. Laure Cinti-Damoreau as Mathilde, Adolphe Nourrit as Arnold Melchtal, and Nicolas Levasseur as Walter Furst.jpg has been promoted. Thank you for your contribution. If you would like to nominate another image, please do so. The image File:Paul Maurou - Poster for Edmond Audran's Gillette de Narbonne.jpg, that you nominated on Commons:Featured picture candidates/File:Paul Maurou - Poster for Edmond Audran's Gillette de Narbonne.jpg has been promoted. Thank you for your contribution. If you would like to nominate another image, please do so. The image File:Jean-Baptiste Singry - Joséphine Mainvielle-Fodor.jpg, that you nominated on Commons:Featured picture candidates/File:Jean-Baptiste Singry - Joséphine Mainvielle-Fodor.jpg has been promoted. Thank you for your contribution. If you would like to nominate another image, please do so. The image File:Eugène Du Faget - Costume designs for Les Huguenots - 2. Julie Dorus-Gras as Marguerite, Adolphe Nourrit as Raoul, and Cornélie Falcon as Valentine.jpg, that you nominated on Commons:Featured picture candidates/File:Eugène Du Faget - Costume designs for Les Huguenots - 2. Julie Dorus-Gras as Marguerite, Adolphe Nourrit as Raoul, and Cornélie Falcon as Valentine.jpg has been promoted. Thank you for your contribution. If you would like to nominate another image, please do so. The image File:Philippe Chaperon - Meyerbeer - Les Huguenots Act I (1896).jpg, that you nominated on Commons:Featured picture candidates/File:Philippe Chaperon - Meyerbeer - Les Huguenots Act I (1896).jpg has been promoted. Thank you for your contribution. If you would like to nominate another image, please do so. The image File:You need only one soap, Ivory soap - Strobridge & Co. Lith. - Restoration by Adam Cuerden.jpg, that you nominated on Commons:Featured picture candidates/File:You need only one soap, Ivory soap - Strobridge & Co. Lith. 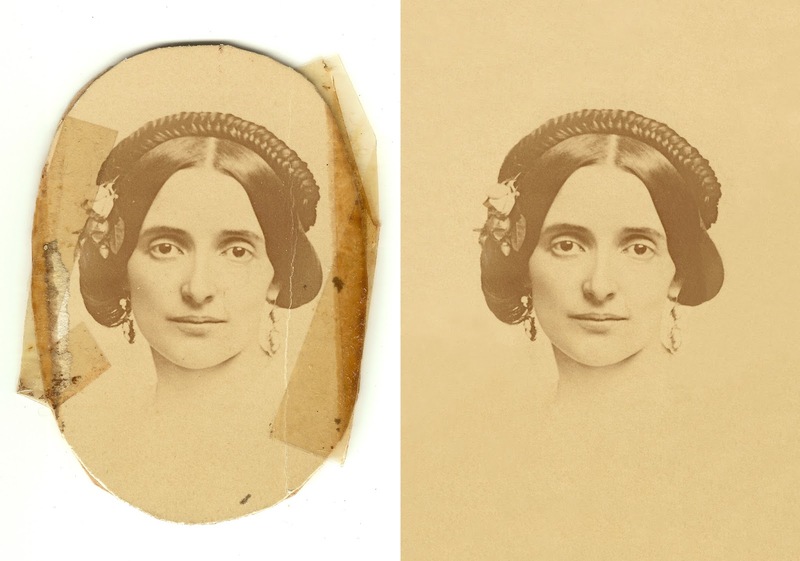 - Restoration by Adam Cuerden.jpg has been promoted. Thank you for your contribution. If you would like to nominate another image, please do so. Thanks for uploading File:Mrs. Fiske, "Love finds the way" - Zaida Ben Yusuf. LCCN2006677585 - Restoration.jpg. I notice that the file page either doesn't contain enough information about the license or it contains contradictory information about the license, so the copyright status is unclear. The image File:Charles-Antoine Cambon - La Esmeralda, Act 3, Scene 2 set.jpg, that you nominated on Commons:Featured picture candidates/File:Charles-Antoine Cambon - La Esmeralda, Act 3, Scene 2 set.jpg has been promoted. Thank you for your contribution. If you would like to nominate another image, please do so. The image File:Carloz Schwabe - Vincent d'Indy's Fervaal.jpg, that you nominated on Commons:Featured picture candidates/File:Carloz Schwabe - Vincent d'Indy's Fervaal.jpg has been promoted. Thank you for your contribution. If you would like to nominate another image, please do so. The image File:Mrs. Fiske, "Love finds the way" - Zaida Ben Yusuf. LCCN2006677585 - Restoration, levels tweaked.jpg, that you nominated on Commons:Featured picture candidates/File:Mrs. Fiske, "Love finds the way" - Zaida Ben Yusuf. LCCN2006677585 - Restoration, levels tweaked.jpg has been promoted. Thank you for your contribution. If you would like to nominate another image, please do so. The image File:Lucy Arbell in Massenet's Thérèse.jpg, that you nominated on Commons:Featured picture candidates/File:Lucy Arbell in Massenet's Thérèse.jpg has been promoted. Thank you for your contribution. If you would like to nominate another image, please do so. The image File:Hughes & Mullins after Cundall & Howlett - Heroes of the Crimean War - Joseph Numa, John Potter, and James Deal of the Coldstream Guards.jpg, that you nominated on Commons:Featured picture candidates/File:Hughes & Mullins after Cundall & Howlett - Heroes of the Crimean War - Joseph Numa, John Potter, and James Deal of the Coldstream Guards.jpg has been promoted. Thank you for your contribution. If you would like to nominate another image, please do so. The image File:Edgar Allan Poe, circa 1849, restored, squared off.jpg, that you nominated on Commons:Featured picture candidates/File:Edgar Allan Poe, circa 1849, restored, squared off.jpg has been promoted. Thank you for your contribution. If you would like to nominate another image, please do so. The image File:Prudent-Louis Leray - Poster for the première of Georges Bizet's Carmen.jpg, that you nominated on Commons:Featured picture candidates/File:Prudent-Louis Leray - Poster for the première of Georges Bizet's Carmen.jpg has been promoted. Thank you for your contribution. If you would like to nominate another image, please do so. The image File:Lucy Arbell photographed by Paul Nadar.jpg, that you nominated on Commons:Featured picture candidates/File:Lucy Arbell photographed by Paul Nadar.jpg has been promoted. Thank you for your contribution. If you would like to nominate another image, please do so. The image File:Atelier Nadar - Galli-Marié in Bizet's Carmen.jpg, that you nominated on Commons:Featured picture candidates/File:Atelier Nadar - Galli-Marié in Bizet's Carmen.jpg has been promoted. Thank you for your contribution. If you would like to nominate another image, please do so.